To access the Interlok Component Search page, you use the component search button on the header navigation bar, which is located in the Config sub-menu. 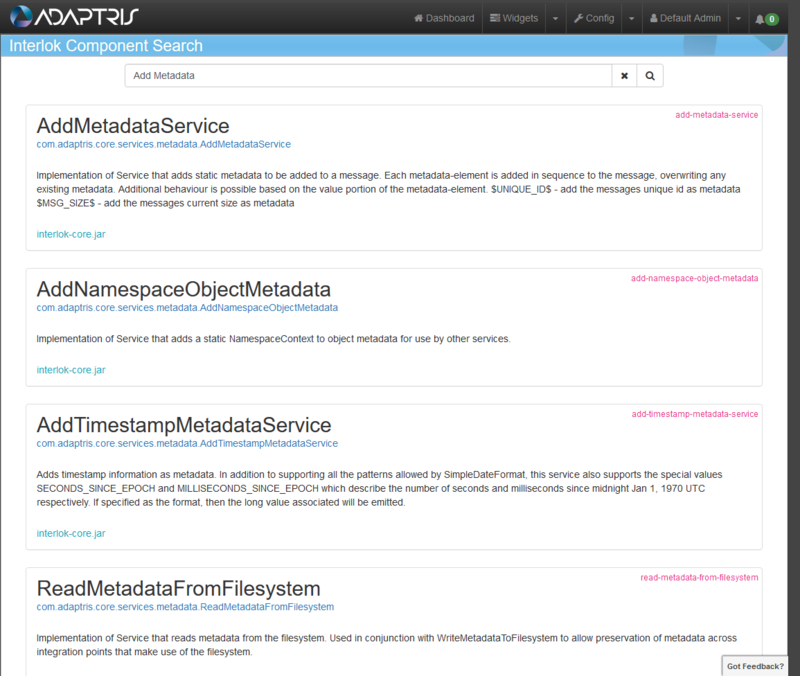 The component search page allows you to search an Elasticsearch index containing data concerned with all (most) our Interlok components for a given version. At this time (3.8.2), not every Interlok component has been indexed, but most are and the indexing process will be improved over time. Upon opening the component search page, you are presented with a search input that you can type your search criteria into.